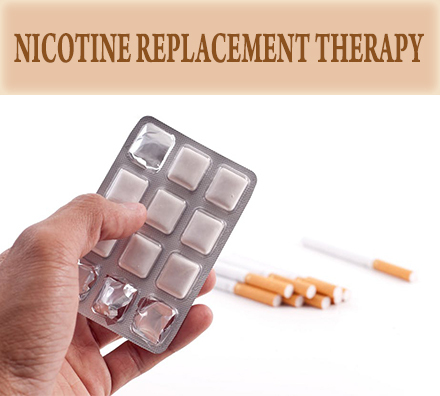 Nicotine Replacement Therapies (NRT’s) are smoking cessation aids that are used by some smokers to help ween themselves off of nicotine in a controlled manner. Habitrol nicotine patches are an example of NRT’s that are called “transdermal” patches. This means that they are placed directly on your skin so that your body will absorb the nicotine contained in the patch into your body through your skin at a slower rate than you ingest when smoking. Their primary purpose is to mitigate the nicotine withdrawal symptoms that are experienced when you quit smoking. The Habitrol Nicotine patch is meant to be used over an 8-week program. Over the course of the 8 weeks, you will gradually reduce the amount of nicotine that you ingest into your body by shifting to progressively weaker Habitrol patches. The strongest patch contains 21 mb of nicotine and is used to start out smokers who smoke more than half of a pack of cigarettes a day. After you take this patch for the frist month, the program shifts you to a 14 mg patch for the fifth and sixth week of your stop smoking efforts. During the final two weeks, you shift to a 7mg patch. If you smoke less than a half of a pack of cigarettes a day, you will start the Habitrol program on teh 14 mg patch and remain on it until week seven when you shift to the 7 mg patch. When you apply the Habitrol patch, your skin must be clean and dry and the patch left in place for 24 hours. When you apply a new patch, you should pick a different part of your skin to apply the patch. When you use the Habitrol patch, you can not use any other form of nicotine or else you could experience significant medical problems. The manufacturer also does not recommend that pregnant or nursing women use Habitrol due to the potential side effects which include: sleep disturbances, irritability, dizziness, nausea, weakness, vomiting, and elevated bloodpressure. Do Habitrol Nicotine Patches Work?Nicotine patches similar to Habitrol have been on the market as smoking cessation products for a number of years. Similar to other stop smoking aids and nicotine replacement therapies, Habitrol patch success is dependent on the desire of the smoker to quit. If you do not desire to really quit, shifting to the patch will not be successful in helping you kick the habit. A negative of the Habitrol patch is that it still contains nicotine and should be a consideration when you decide to use it for your primary stop smoking aid. Also, if you take the patch and start to experience skin irritation, you need to stop using the patch and seek advice from your doctor on if you should continue use of the product.